The U.S. Army Corps of Engineers has completed its eighth microgrid on Puerto Rico, as the U.S. territory continues to struggle with power restoration from Hurricane Marie’s strike in September. Latest outage figures from the Department of Energy show nearly 30 percent of customers, 439,000 in total, still without power on the island. 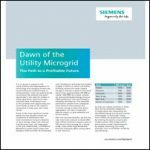 The grid and microgrids can now serve about 81 percent of peak power demand. The Army Corps is installing microgrids as a temporary measure “to safely and quickly restore power to the people,” said Cpt. George Wiley, TF power restoration plans and operations officer. Meanwhile, utilities and private companies are working on more permanent repairs and upgrades, including microgrids designed to address the island’s vulnerability to power outages from hurricanes. Installed in Arecibo, the latest Army Corps microgrid went into testing February 1. The Army Corps will consider the project fully commissioned when the the most customers are reached within the limits of the equipment. Army Corp microgrids also now provide power in Lares, Naguabo, Patillas, Villalba, Yabucoa, Maunuabo and Culebra. FEMA has approved funding for a ninth microgrid in Humacao. The Army Corps expects the nine microgrids to power 20,000 households and infrastructure, up from a current 17,000 households and facilities powered by its microgrids. In addition to the Army Corps., several private companies have been installing microgrids and battery storage, among them sonnen, Sunrun and Tesla. AEP has proposed a series of mini-grids for the island using 10,000 MW of solar and 2,500 MW of battery storage. Meanwhile, New York and Puerto Rico together are urging Congress to approve more than $1 billion for microgrids as part of a $94.4 billion package they are proposing to rebuild the island. In preparation for a long-term, large scale microgrid effort on the island, the Puerto Rico Energy Commission has issued draft microgrid development rules that have attracted widespread industry interest. Track news about microgrids in Puerto Rico by subscribing to the free Microgrid Knowledge newsletter.